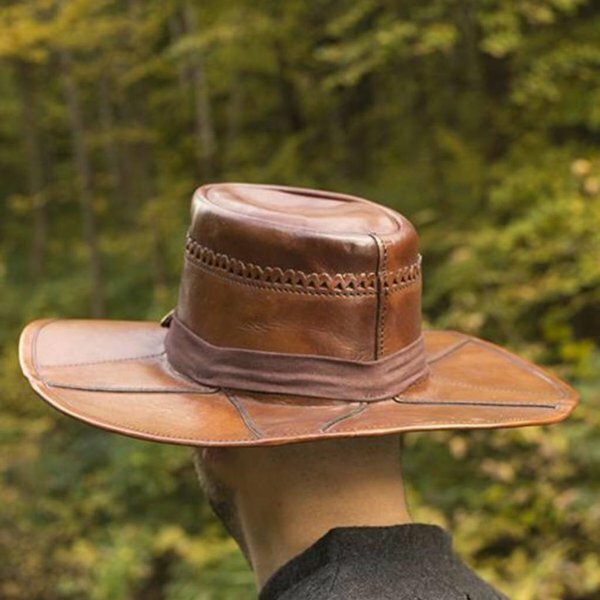 This sturdy hat is made of high quality leather. The edges are stitched and therefore extra strong. 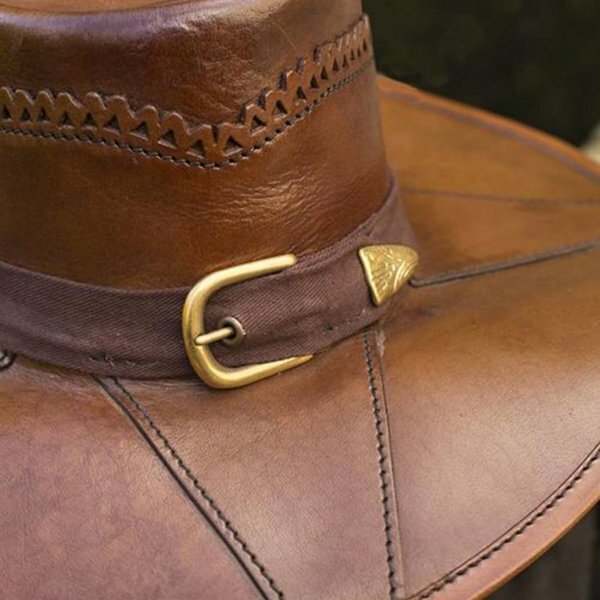 On the top of the hat is a star-shaped motif and it is decorated with a cotton band with a brass buckle. 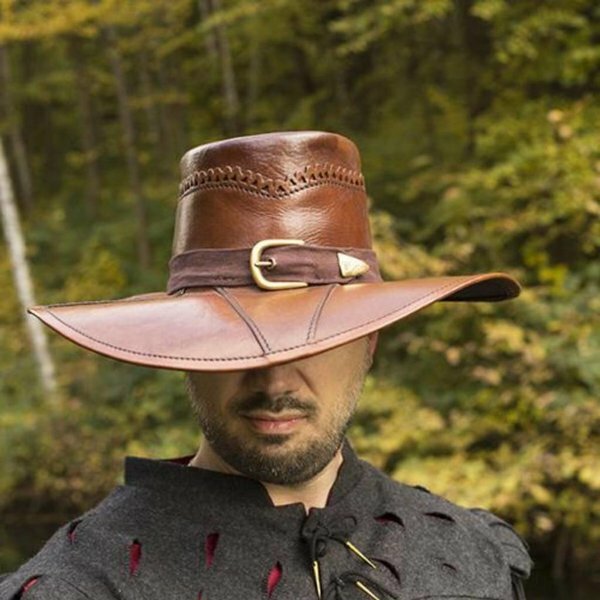 The top of the hat also has a decorative edge. 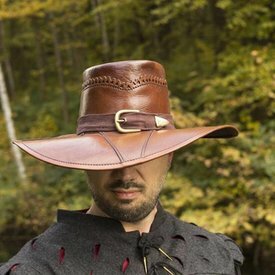 This hat is the perfect accessory for re-enactment, LARP and Cosplay of the Wild West and other nineteenth century periods. 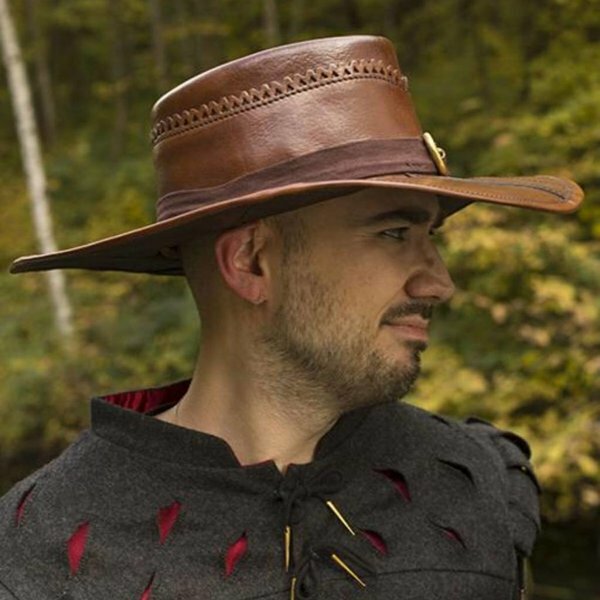 The hat also protects very well against the sun. Just as with weaponry, you can care for your shoes and leatherware by applying a little Ballistol or beeswax after cleaning. This prevents the leather from drying out.